Kimberly Jarman Photography: The dreaded words "Hard drive failure"! Kimberly Jarman is an award winning photographer based out of Arizona. She has traveled all over the United States photographing weddings and portraits. 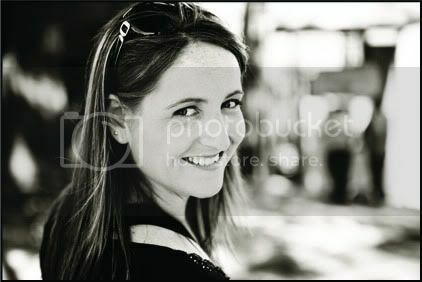 She is very passionate about photography and loves capturing special moments for clients. This blog was created to show you our most recent and favorite work. We try to update it regularly with our latest news and sessions. Enjoy the blog! We would love to hear from you, so feel free to leave a comment. You can also follow Kimberly on Twitter and Facebook. The dreaded words "Hard drive failure"! Last night my husband and I along with our new daughter, Kailee, spent 3 hours at the apple store. My computer has been running slow and at times just shutting down on it's own, so I wanted to see if apple could tell me what was wrong. The genius bar at the apple stores really are the reason why I buy apple because you just bring in your computer and they will fix it! Well last night they told me the dreaded words "harddrive failure, we have to keep your computer for a few days to repair it". What??? No computer for a few days? I don't think I've ever been away from my laptop more than a day!!! So I reluctently handed over my precious baby so that she could be fixed. Unfortunatley they are going to have to wipe out the hard drive and give me back a very empty computer. Luckily I was able to back up my things before they took her away. All this to say, this is going to slow down correspondence greatly for the next few days as all I have at home is my apple iPhone. So PLEASE bear with me and be patient with me. If you have emailed me it might take some time to respond because I don't have all my information as accesible right now. Oh the joys of technology!! Luckily when I get my baby back she will almost be brand new!! Have an email sent to you each time this blog is updated. To hear about our latest news, contests, and promotions sign up for our monthly newsletter.